The members of Trusty Amigos Dog Walking and Pet Care Cooperative came together in August 2013 as part of the Center for Family Life’s Cooperative Development Program in Sunset Park. 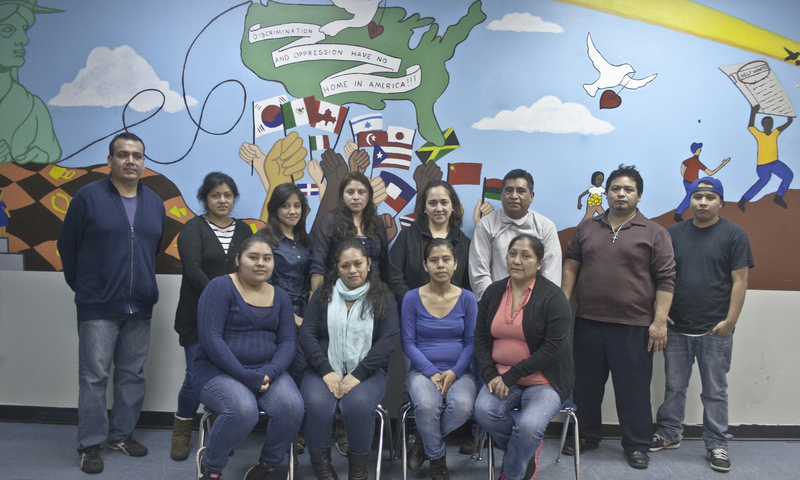 The Cooperative includes many residents of Sunset Park, most of whom migrated to the US from countries such as Mexico and Ecuador. Besides being animal lovers, coop members are mothers, fathers, students, community activists and leaders. Trusty Amigos is a democratically run cooperative, designed to create living wage jobs and high quality pet care services. Our worker owner model distinguishes us from the pack because every walker is invested in providing the best possible care for your furry friend. The values that unite our Cooperative are democracy, equality, openness, social responsibility and solidarity. We meet weekly to discuss business and engage in professional development opportunities. The Cooperative makes decisions by following a consensus process, or, when necessary a democratic vote. We are committed to safety, walker education, friendliness, experience and accountability. Cooperative members follow exclusive protocols to ensure safety, reliability and trustworthiness. We have a standard “Dog Log” that we leave for customers indicating the time of entrance and exit, notes about your pup’s business, and any other relevant information. We send regular photos of pets to our customers via text or email, depending on how often customers elect to receive them.